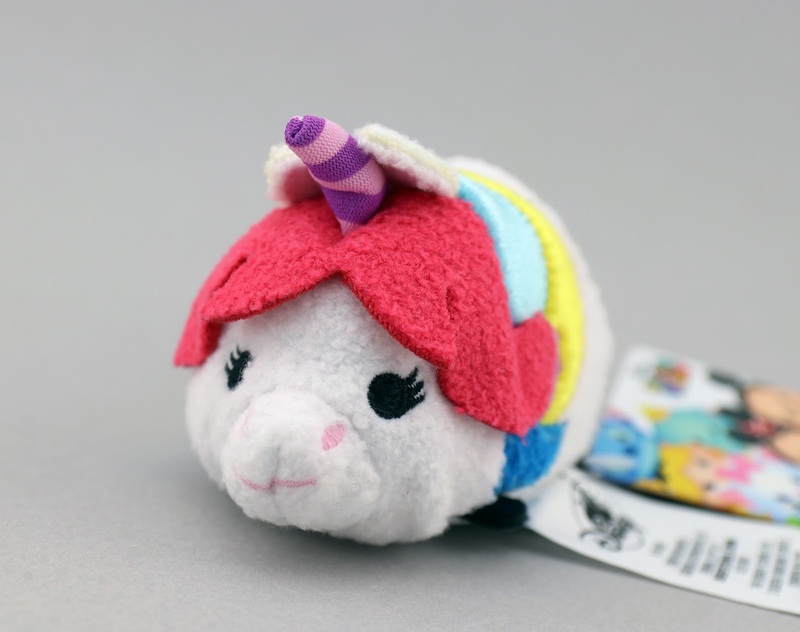 Just yesterday, the Disney Store and ShopDisney.com released a brand new unicorn inspired Tsum Tsum set for Tsum Tsum Tuesday (cause you know, unicorns are quite trendy these days). Honestly, I normally wouldn't have paid much mind to something like this— but I paused, looked a little closer and realized, "No way! Two new unreleased Pixar characters!" Yup, the fan favorite Rainbow Unicorn from Inside Out and the lovable Buttercup from Toy Story 3 are both part of this set. 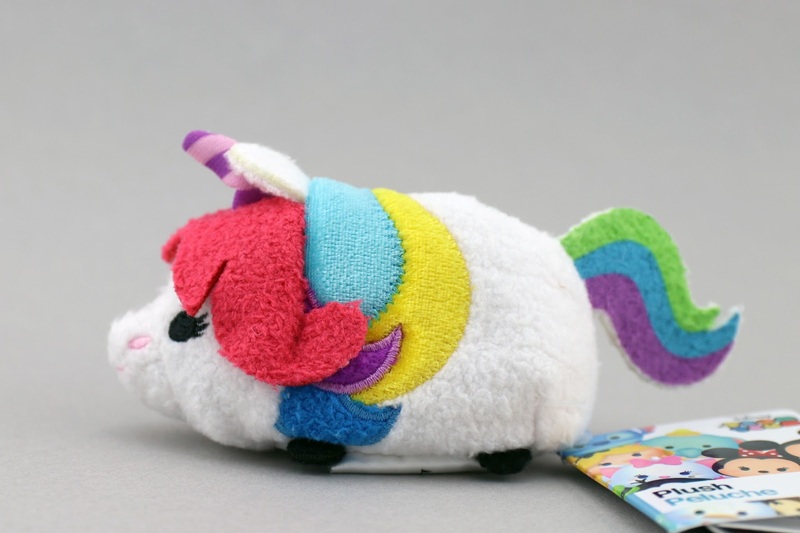 These being actual unicorn characters and all, it only makes sense that they were included here. The other four characters in this set (the ones I didn't feel the need to pick up) are technically not unicorns at all, but rather Daisy Duck, Minnie Mouse, Angel and Marie all dressed up in unicorn "costumes." 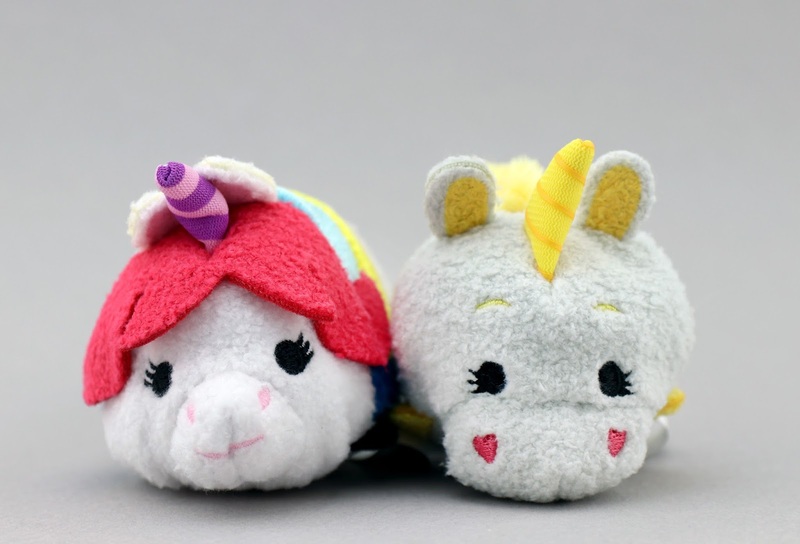 I knew right away that I needed to snag these two and add them to my Inside Out and Toy Story Tsum Tsum collections. They go perfectly with all the others! It's so fun to have a couple new characters represented from these films after all these years. 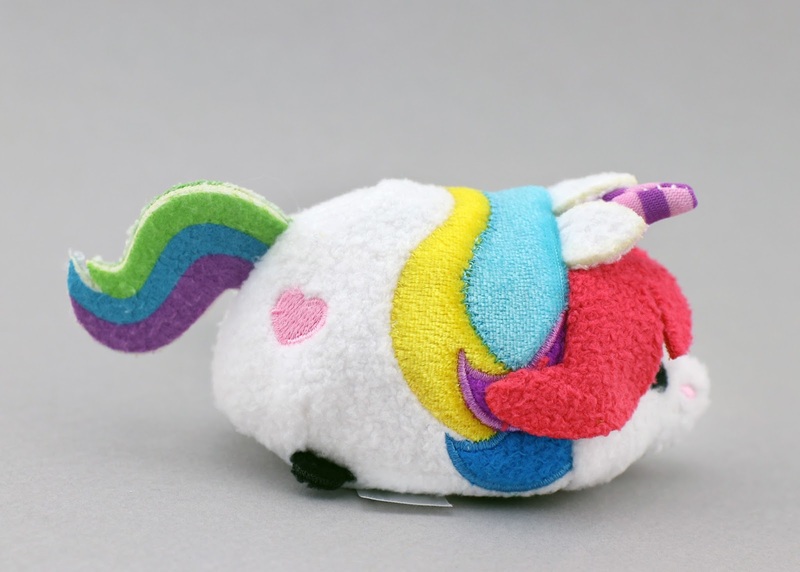 Rainbow Unicorn might be my favorite of the two, just because her colors and details are so fantastic. I love the use of the shiny (almost glittery) fabric and they even remembered the pink heart on her side. Both are so well done though! Check out Buttercup. He looks great. Love all the different fabrics/materials used and embroidered detailing on both these characters. 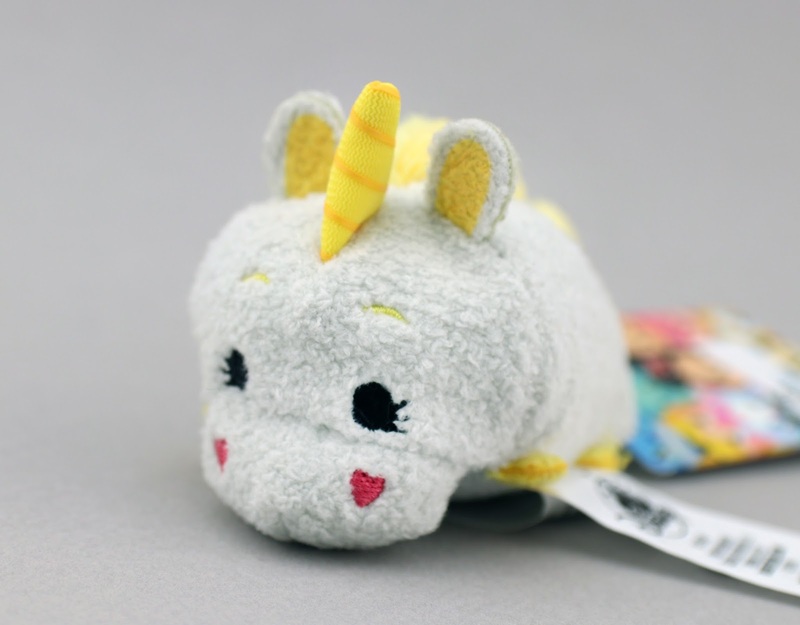 If you're looking to add these to your Tsum Tsum collection, be sure to pick these up at your local Disney Store or ShopDisney.com soon before they're gone! 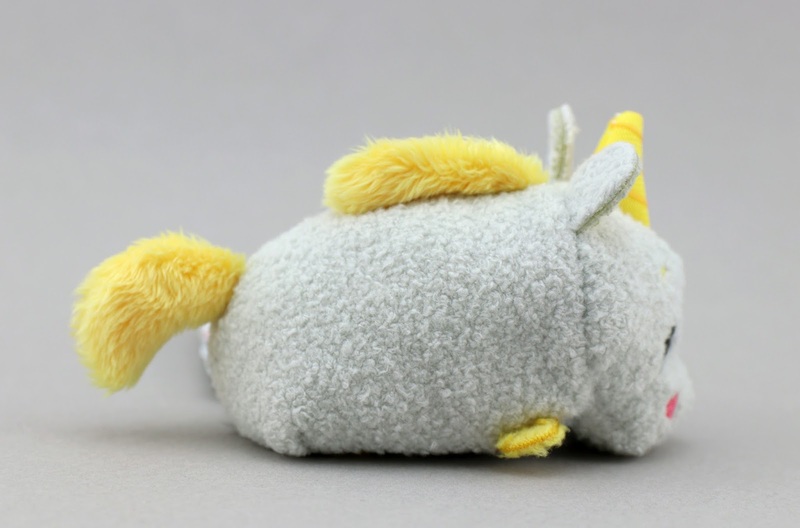 Highly reccomended for any serious Pixar and/or Tsum Tsum collector.